Truth, justice and the pursuit of the perfect bulldog. 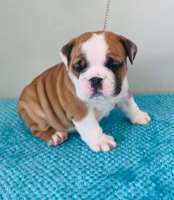 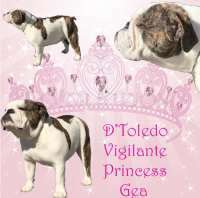 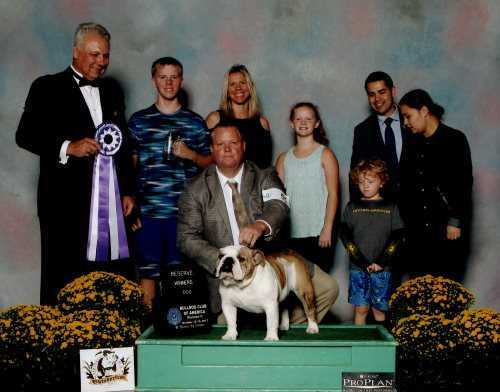 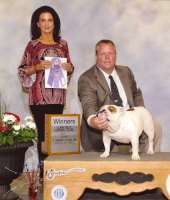 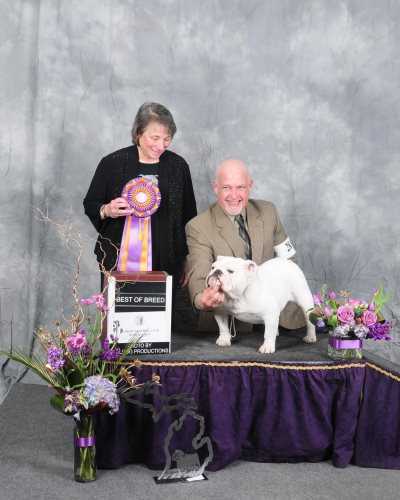 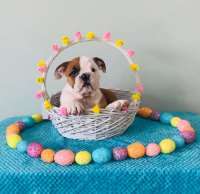 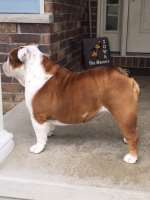 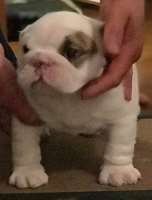 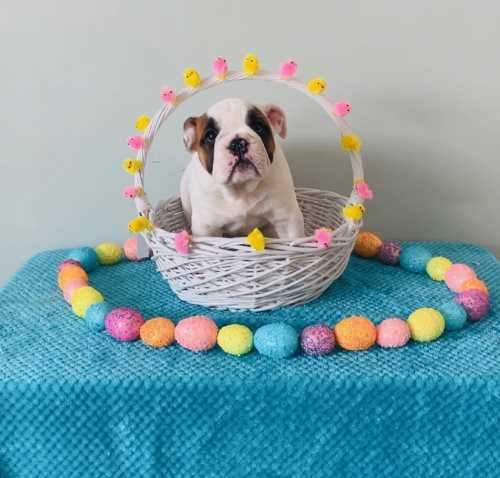 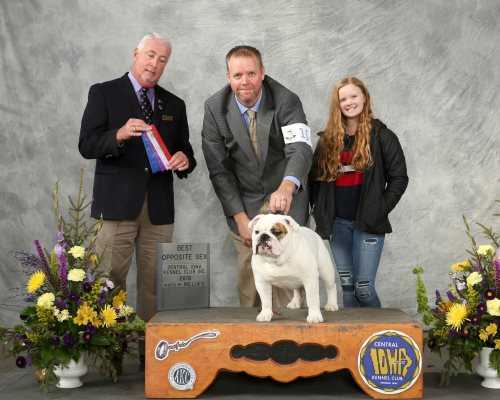 Welcome to Vigilante Bulldogs, AKC Breeder and home of happy, healthy and fun bulldogs! 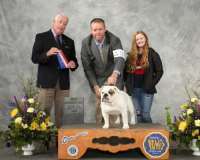 We are EXHIBITORS, BREEDERS and FANCIERS. 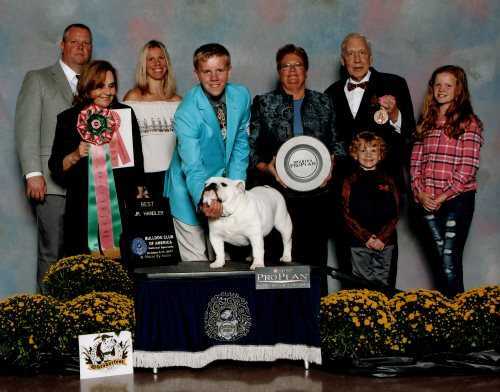 We are NOT a kennel; this is a love we share as a family. All of our dogs live as family members in our home (beloved pets - first, show dogs – second); we breed primarily for ourselves, striving for health, temperament and conformation. 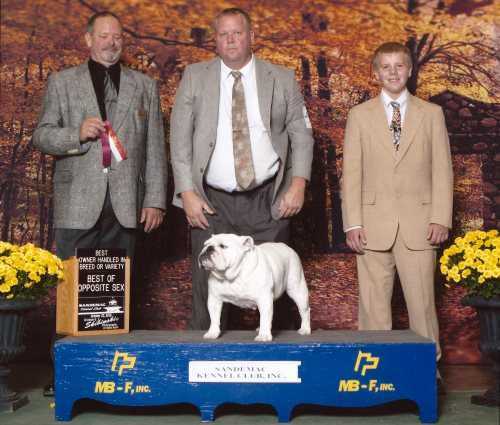 We work together with a few select people to try to breed a healthier bulldog. 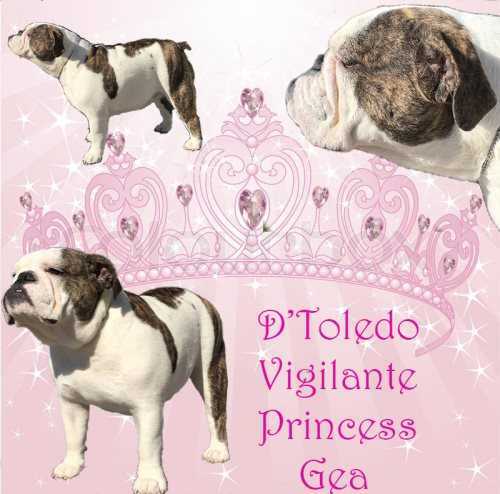 Please feel free to contact us with any questions about these wonderful little clowns! 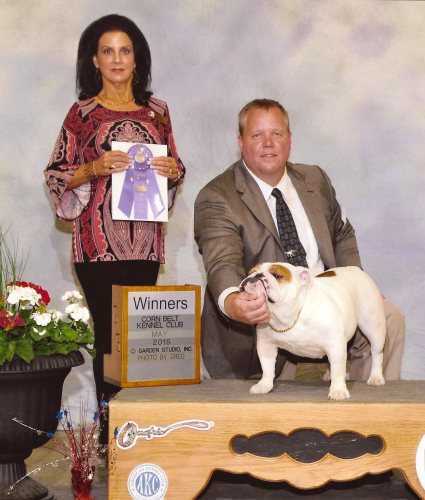 We would also like to thank all of our bulldog friends. It has been a pleasure meeting and showing with such great people! 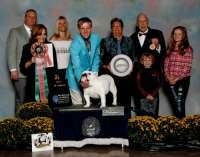 Match up with Top Studs White & Brindle GCH D'Toledo Vigilante The Caped Crusader D'Toledo "I'm Valentina"
10/21/2016 Dog White & Brindle CH Little Ponds George HOF MBIS BISS CH D'Toledo Deluxe Victorya BR Cl Jr.